One of two restored 300-year-old staircases stands tall in the lobby. All photos courtesy of Hoxton Paris. 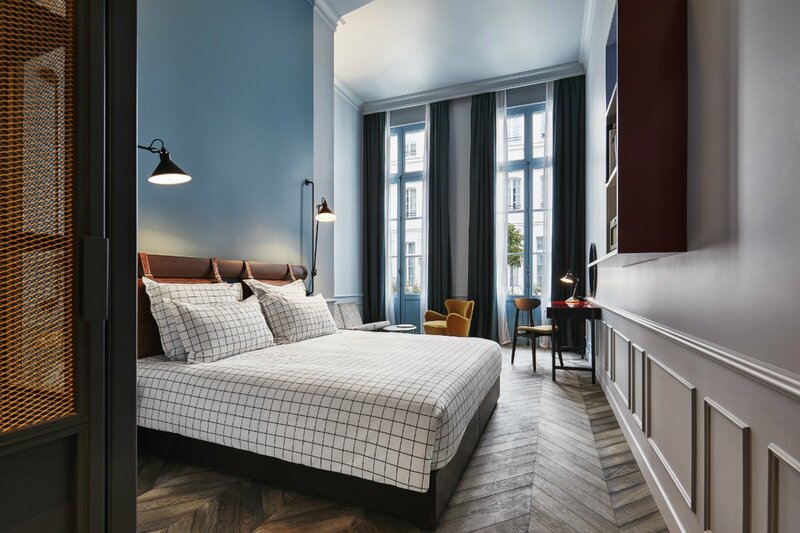 PARIS – Not many stylish, millennial-friendly hotels make a point of incorporating 300-year-old architecture into their design aesthetic, but — perhaps because this is Paris, where history is ever present — Hoxton Paris did. 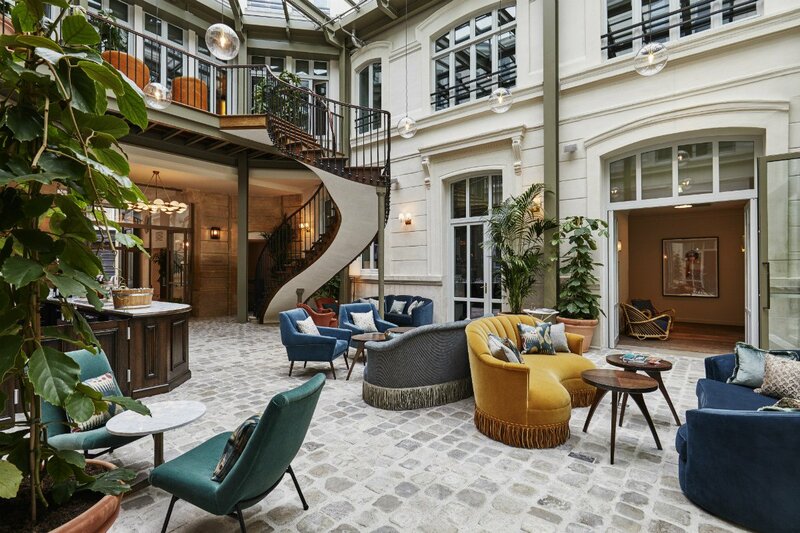 The hotel is housed in an 18th century hôtel particulier that was built for Etienne Rivié, a top advisor to Louis XV, and served as his private residence. Its three buildings, the oldest of which is a designated monument historique, have undergone a scrupulous restoration effort to preserve original design and structural elements: The facade (a leading example of high rococo), fifteen staircases, iron columns, timber beams, and even decorative tiles (all of which have been renovated or repurposed). 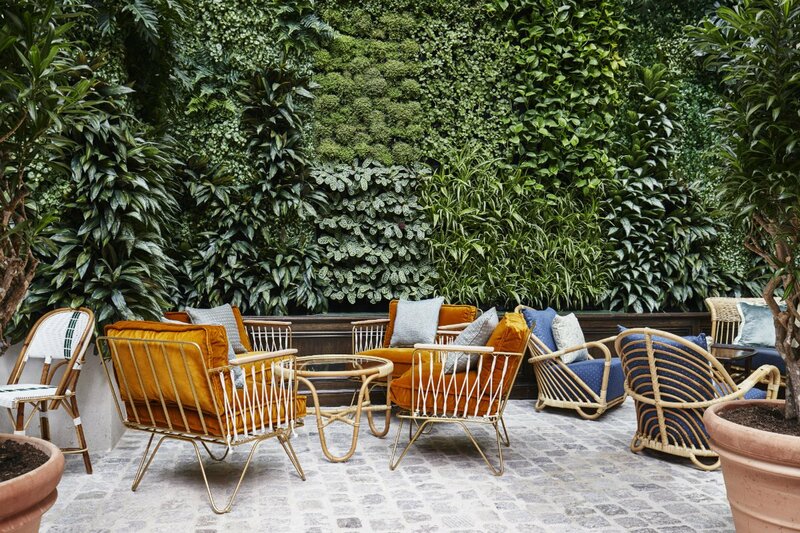 Vibe: Endowed with an inimitable historic identity that undergirds the trendy, made-for-Instagram appeal of every space, Hoxton Paris makes this unlikely pairing look easy — and oh so cool. 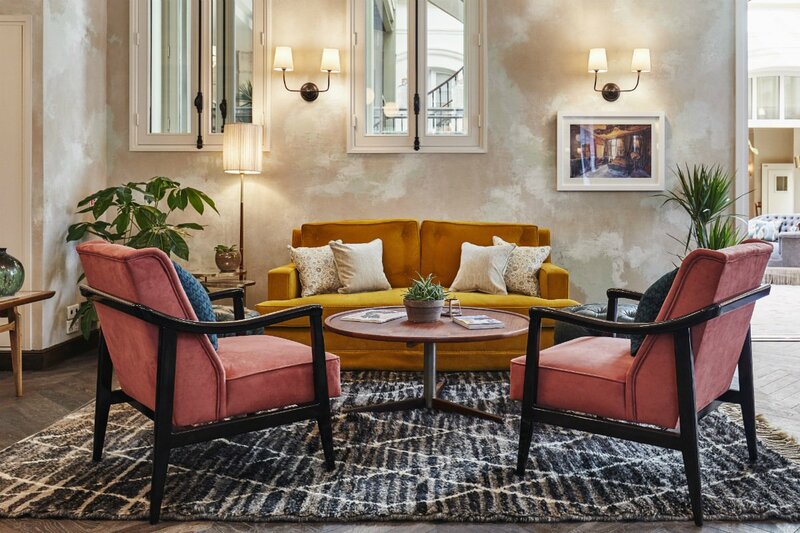 Style: Shabby chic, functional design, tinged with nostalgia, courtesy of Monaco-based design agency Humbert & Poyet and the global, members-only Soho House group. Standout Detail: The restoration effort: There are two 300-year-old staircases — one leading up the Jacques Bar, the other anchored in the center of the lobby — along with refurbished iron columns and exposed timber beams, and original tiles that were repurposed for the backsplash behind the hotel bar. This Place is Perfect For: Millennials and solo travelers on a (relative) budget who prefer effortlessly cool design to the bells and whistles of a higher-end property. Rooms: 172, categorized by four sizes: shoebox, the smallest; cozy, the standard; roomy, slightly larger; and biggy, the largest. 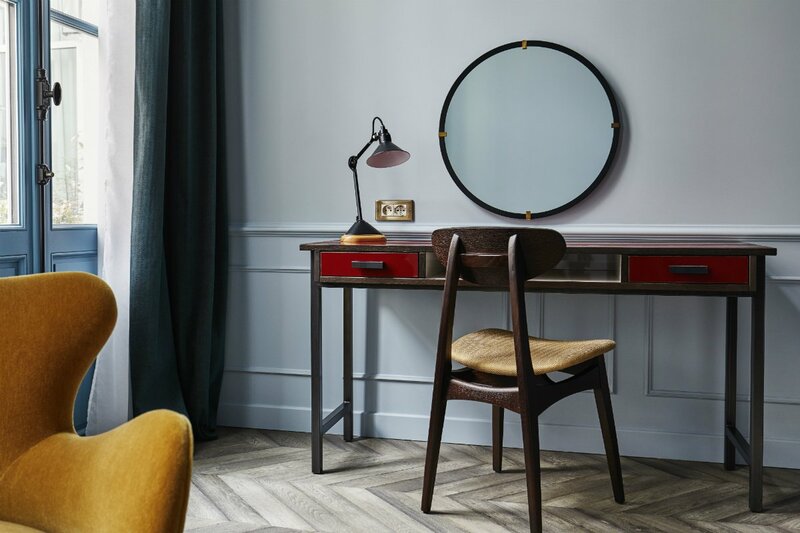 A bold, dark palette compliments retro decor like authentic Jean Prouvé furniture, Lampe Gras light fixtures, old-school telephones, funky headboards, round mirrors, and reclaimed oak parquet floors that lend each space a stylish, masculine feel. For high ceilings and roll-top bathtubs, stay on the ground floor, or request one of three attic rooms with views of the Eiffel Tower. On Site: In keeping with the Hoxton’s pared-down vision, you won’t find too many showy amenities here. 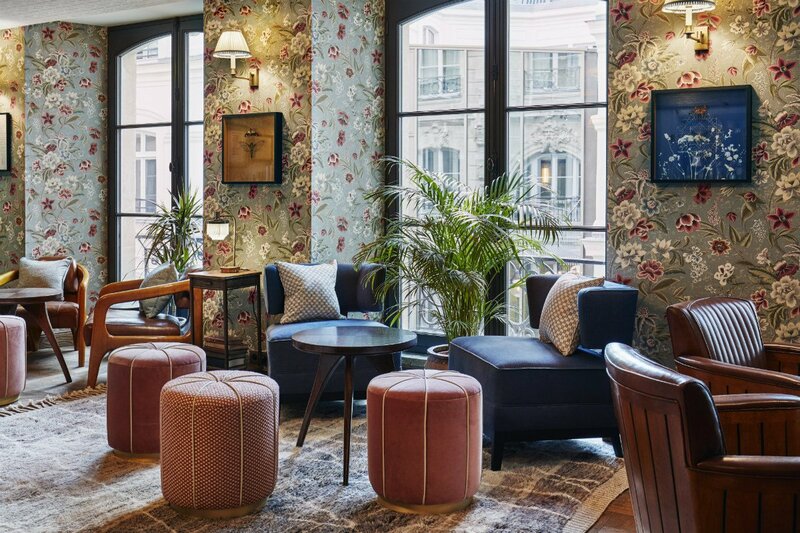 Les Voûtes, the hotel’s rustic, barrel-vaulted, seven-room multipurpose space can hold up to 80 people and is optimally designed for hosting meetings or social gatherings. Hoxton is also known for its robust events programing, and guests at the Paris location will find everything from tech workshops to local boutique pop-ups. 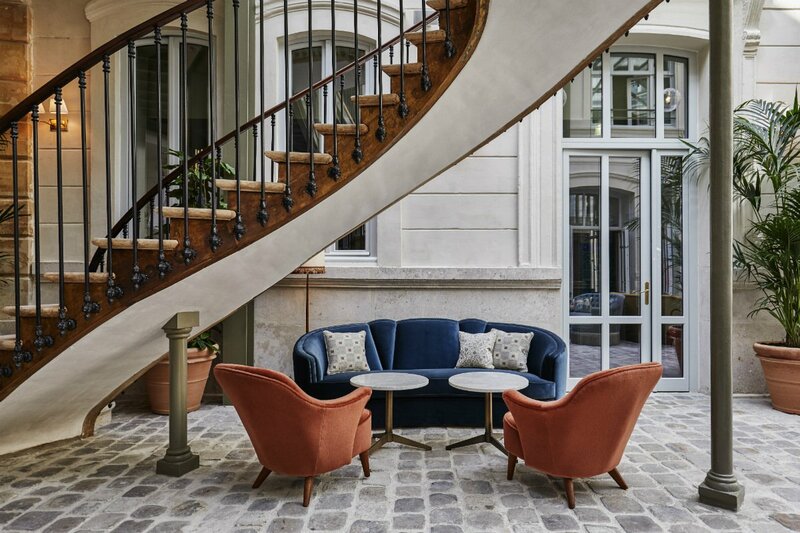 The lobby, which opens out into a spacious, airy courtyard, is a humming hangout furnished with sumptuous, velvet lounge seating against a leafy trellis. Food and Drink: As is standard at Hoxton properties, a complimentary breakfast bag is delivered to your door every morning. 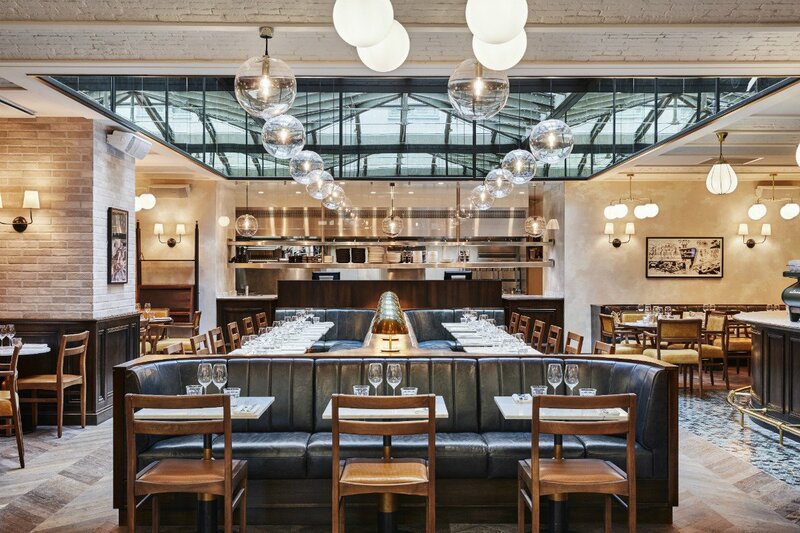 Rivié, the hotel’s on-site restaurant, is the destination for all-day traditional brasserie fare in an industrial setting, replete with polished marble-top bars and cozy banquette seating. Upstairs in Jacques’ Bar, modeled after the Majorelle Garden in Marrakech, retro floral laminate, tassel lamps, and tropical greenery set the stage for a Moroccan-inspired cocktail menu. Rates start at $130/night. Click here for reservations, or get in touch with the Fathom Travel Concierge, and we can plan your trip for you. Located along the Rue de Sentier in the second arrondissement, a once-sleepy district known as little more than the site of Paris’ former stock exchange, this neighborhood is now home to an abundance of brasseries, restaurants, low-key nightlife, and fashionable local boutiques that line its cobblestone streets. 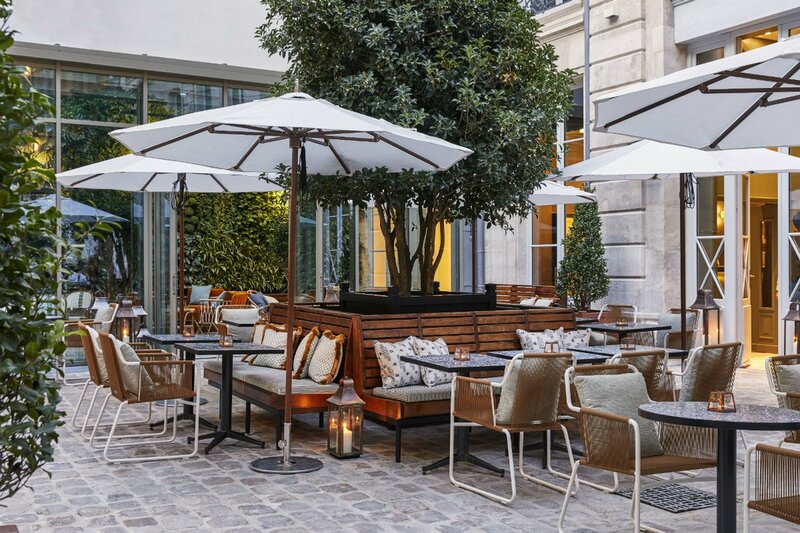 While there aren’t many tourist attractions (and, therefore, fewer tourists) apart from the Passage de Panoramas shopping arcade, the Louvre, Centre Pompidou, Forum des Halles, and the Marais are all in easy walking distance. Rachel is an editorial intern at Fathom. You can follow her on Instagram. She travels for the street food and the clean public transportation.